Over the years we have hosted a great number of international visitors on private guided tours Kenya,Tanzania,Uganda,Rwanda,Burundi,Zambia,Namibia and rest of Africa. We offer the Best in African Safaris: individually-customized itineraries in addition to our standard package tours and trip extensions. 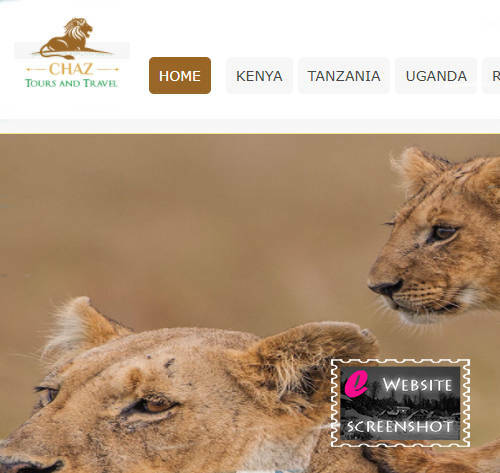 The safari and tour guides employed by Chaz Tours and Travel are based in various regions and cities throughout the country. As trusted professionals and partner we strive to provide clients with well-informed advice and unforgettable African safari tour itineraries. When dealing with us, you will be dealing directly with your tour operator the company who will be responsible for the logistics of your holiday. Join the great number of international visitors whose dream holidays have been made possible by the Chaz Tours and Travel team.